Seeing a photo of this C-130 aircraft on the Internet, I was intrigued by the metal scheme and strange, perhaps ablative coating, on the forward part of the wing tanks. The photo caption stated that the aircraft had just come out of a RAN (Repair As Necessary) facility. I spent considerable time on the natural metal finish, incorporating Floquil Old Silver, a few shades of Alclad II, some dry-brushing and penciled-in panel lines to achieve the look I wanted so as to match the photo as closely as possible. The gray trim was my own mix, having begun with Testor's Model Master Gunship Gray. I also made and added various antennae as per the photo I saw on the Net. 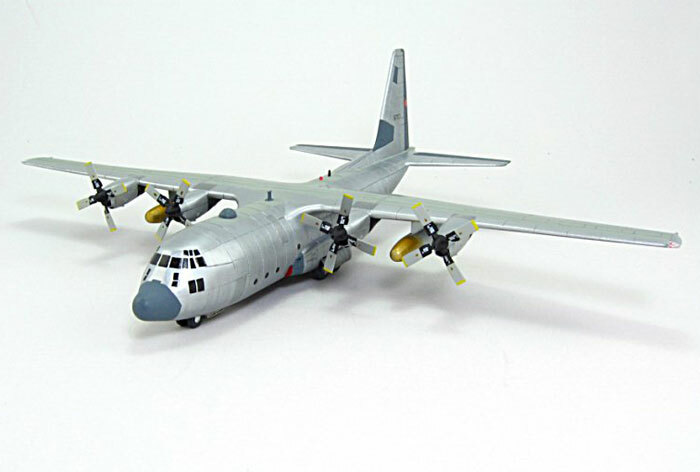 Although not very colorful without National insignia, I feel the 1/144 scale Mincraft kit well-captures the "Hercules" look, and the scheme to be unique. 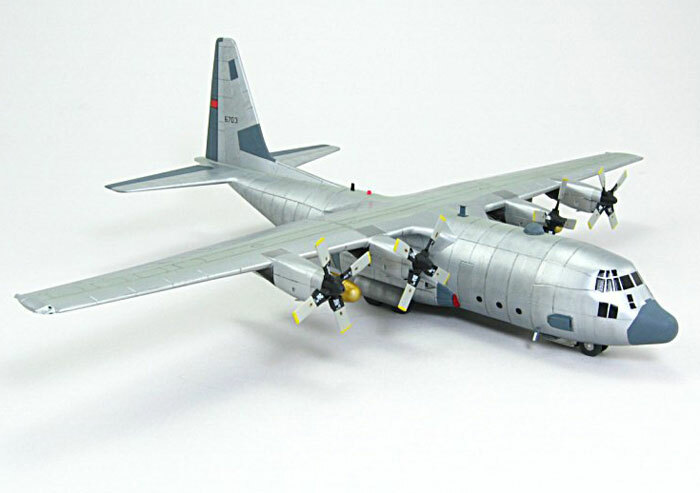 The full-build article will appear in an upcoming issue of FineScale Modeler magazine.